The Soul of Leadership is a dimension worth cultivating in one’s career. Mindfulness is playing an increasing role in all areas of our lives. It repeatedly yields positive results. So it stands to reason that honoring the spiritual side of our work lives will bring greater meaning and purpose to our work. In fact, Author Deepak Chopra writes that leadership takes both heart and soul as in his book, The Soul of Leadership: Unlocking Your Potential for Greatness. Chopra brings rebrands success as something far beyond financial gain. 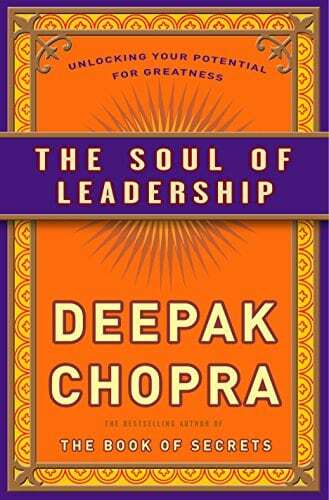 In The Soul of Leadership, Chopra examines spirituality in the workplace and offers ways to reverse negative attitudes to fosters a positive working environment. Chopra offers a succinct guide that employs his principles. In doing so, the author shares the stories of two leaders who have made millions following the deepest inclinations of their souls, In fact, Chopra believes the only path to true success is finding and honoring one’s calling. Our careers are a hero’s journey. (For more on that, see Executive Search and The Hero’s Journey.) 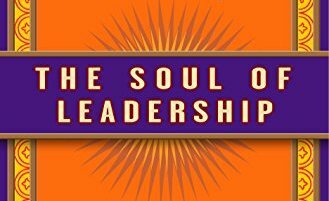 For that reason, we recommend the book The Soul of Leadership and applying its methods in your career. Here, Deepak Chopra shares the book’s insights in a presentation at Pershing’s Financial Solution Conference.